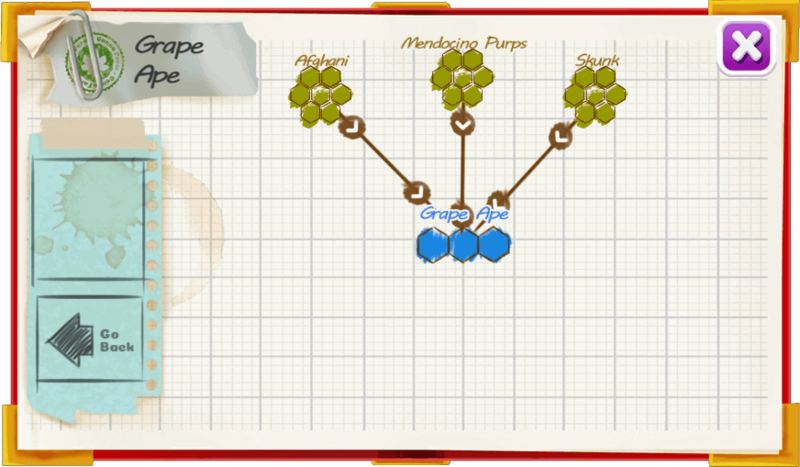 Grape Ape is an indica dominant strain bred by mixing Mendocino Purps, Skunk, and Afghani. Named after its Grape taste and color, it also provides true relaxation while soothing pain, stress, and anxiety. 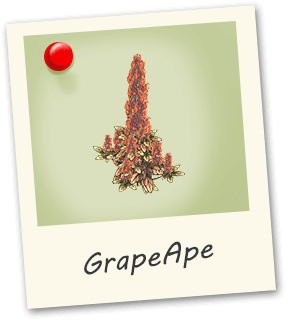 GrapeApe has dense buds wrapped in deep purple leaves which darken as it ripens.